Unless you are living in a vacuum, you will be more than aware that football’s biggest event, the World Cup is now in full swing and as such the world’s “greatest sporting spectacle” will be filling media channels and social platforms for days on end …the irony of that statement and this blog post is not lost on me! So, quick question – can you name the official sponsors? The Beautiful Game’s flagship platform attracts huge audiences across the globe and big brands pay handsomely for exclusive association. But inevitably there will be some brands that don’t want to pay the millions of euros for sponsorship rights and will nonetheless seek to benefit from the associated publicity. These brand owners will have spent months furiously devising guerilla marketing and advertising campaigns to cash in on the buzz and hype in the hope of riding along on the brand equity of the event. Welcome to brandjacking. Brandjacking, as it has been coined (a combination of brand and hi-jacking), can take many different forms. One of the highest profile cases comes from the last World Cup in 2010 where Nike managed to ambush close competitor and official sponsor, Adidas. Nike’s World Cup campaign was composed of a suite of three-minute sporting biographies of football’s superstars, highlighting their triumphs as well as their failures. And what a triumph it was for Nike. In a matter of days the global football community was convinced that Nike was the official sponsor of the tournament and without having to pay a single dollar to the World Cup’s governing body, FIFA. More recently in the London Olympics in 2012, Nike were at it again. 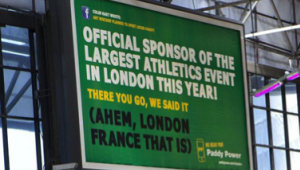 On this occasion, they launched a global TV campaign tied to the Olympics opening ceremony, in which amateur athletes competed in places around the world called London. There were runners in London, Ontario, cyclists in London, Nigeria and shots from London, Ohio and Little London in Jamaica. Just none from “the” London. Another example from the London Games is the headphone brand Beats by Dr Dre, who again didn’t advertise through the official channels but instead gave out free headphones to the athletes in the hope they would wear them track side and be seen on camera doing so. 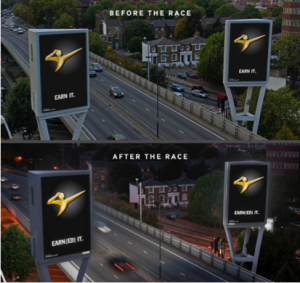 UK cider brand, Strongbow focused their efforts on one high-profile event, the 100-metre race, and celebrated Usain Bolt’s victory with an unbranded tribute to the Olympic sprinter. Instant copy changed from Earn It before the race, to Earn(ed) It after the race accompanied by their trademark archer symbol taking up a pose not too dissimilar to the world-recognised lightening bolt pose. A clever, recognisable and timely tribute that allowed Strongbow to punch above its weight. Google is another brand that has mastered the art of association. To the best of my knowledge the brand wasn’t an official partner of London 2012, but that didn’t stop them doing a series of sport related doodles and games, a theme they are continuing for this year’s World Cup. But brandjacking isn’t exclusive to high profile, global events and neither does it require big budgets. One of the most memorable cases for me was by Shelter, a charity campaigning to end bad housing and homelessness across England and Scotland. Back in 1994 and with a limited budget, Shelter block booked all the outdoor media at Earls Court tube station for the duration of the Ideal Home Show. In an attempt to highlight the disparity between the insatiable appetite (at the time) for DIY and home improvement and the plight of children affected by bad housing, Shelter hi-jacked the aspirational nature of the Ideal Home Show brand to create the Un-ideal Home Show with posters of squalid living conditions. The organisers of the event were far from pleased, but the “stunt” was a huge success, and achieved national PR coverage elevating the charity’s work to new audiences. So if hijacking the news can be so very powerful, how come hundreds of great opportunities consistently pass brands by? It obviously has little to do with the cost factor, given the fact the evidence that assertive actions by brands such as Nike have paid off handsomely. Mostly it comes down to time and having a set-up that allows the brand to be react and respond to real time events, as they are fresh in people’s minds. 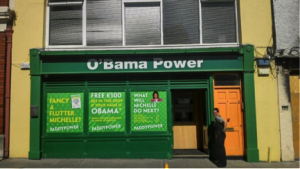 A brand that surpasses itself in this sphere is Paddy Power. They have an ‘always on’ approach when it comes to opportunities, big and small, local and national, to getting their brand talked about – with both positive and negative results. 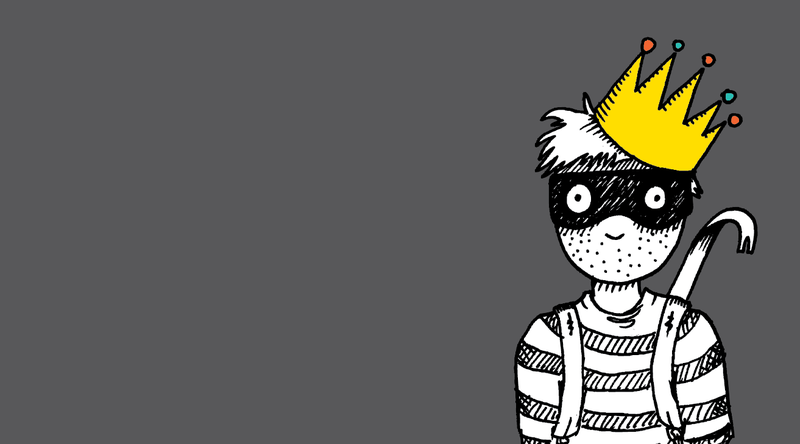 So what can brands do to protect themselves, or alternatively position themselves to steal someone else’s thunder? In today’s world, the Internet and social media are rewriting the rules of marketing. With these tools, people have more outlets to talk about big events in advance. As a result the opportunities to associate your brand from an early stage are limitless. Whilst you might not be able to own the conversation, you can at least start it. Starting the conversation allows you to insert yourself into it. Subtlety does no one any favours in guerilla marketing. Your audience has to understand the association straight away. Producing high quality content with a compelling story and a strong creative idea will gain impact and encourage people to talk about it and share. On a final note, whilst brands clearly benefit from association with such high-profile events, there are questions to be asked around the wider impact going forward. High profile sponsors suffered a backlash from the Sochi Winter Olympics; as aligning themselves to the event was seen by some to be condoning certain views or actions expressed by the host nation. Even now looking to the next world cup questions are being asked about working conditions in Qatar. Perhaps going forward, brands will need to evaluate sponsorship opportunities not only in terms of exposure but also in terms of aligned brand values and behaviours to ensure the true value of the association is maximised.